(18/P088) TRENTON – Ghosts, spooky train rides, scary science experiments and the Jersey Devil are waiting for visitors to New Jersey State Parks this month looking for Halloween fun and fright. Parks and forests across the state are offering a slate of Halloween-themed and fall activities that will appeal to children and adults of all ages. Ride through the haunted woods of Allaire State Park on the Pine Creek Railroad’s Haunted Halloween Express every half hour from 7:30 to 9:30 p.m. Oct. 12, 13, 19, 20, 26 and 27. The park is at 4265 Atlantic Ave. in Farmingdale, Monmouth County. Tickets are $7.50. Advance purchase is recommended. Train rides are weather-dependent. Call (732) 938-5524 to confirm the train schedule, or for more information. Participate in an interactive adaption of a classic ghost story during An Evening with Edgar Allen Poe at 7:30 p.m. on Oct. 12 and 13 in the Historic Allaire Village Chapel at Allaire State Park. Tickets are $20. Advance purchase is recommended. Call (732) 919-3500 for more information. Climb aboard a haunted hayride and visit a haunted community between 6 and 9:30 p.m. Oct. 19, 20, 26 and 27 at Historic Allaire Village in Allaire State Park. Tickets are $15 for adults and $10 for children under 12 years of age. Advance purchase is recommended. Call (732) 919-3500 for more information. Be very afraid during a “Terror In The Timbers” walk from 7:30 to 10:30 p.m. Oct. 12, 13, 19, 20, 26 and 27 at the Danna Trailhead in Parvin State Park, 789 Parvin Mill Road in Pittsgrove, Salem County. Participants must be at least 12 years old. Admission is $12 for all ages. Call (856) 358-8616 for more information. Look for ghosts during candlelight tours of the Hancock House during hourly tours offered between 7 and 10 p.m. Oct. 19 and 20 at the Hancock House Historic Site, 3 Front St., Lower Alloways Creek Township, in Salem County. Tickets are $5 for adults and $2 for children under 16 years of age. Reservations are required. Call (856) 935-3218. Watch science historian Dean Howarth portray Italian scientist Giovanni Aldini, whose experiments inspired Mary Shelley’s famous story about Dr. Victor Frankenstein. “It’s Alive! The Science of Shelley’s Frankenstein” will be presented at 2 p.m. Oct. 20 at Indian King Tavern Museum, 233 Kings Highway East, Haddonfield, in Camden County. Admission is free. Call (856) 429-6792 for more information. Tour Ringwood Manor and its historic cemetery at night while listening to stories about the lore and legends associated with the site in Ringwood State Park, 1304 Sloatsburg Road, Ringwood, in Passaic County. Tours are offered at 7 and 8 p.m. Oct. 20 and 26. An additional tour at 9 p.m. will be offered on Oct. 27 and 31. Space is limited. Tickets are $25 and must be purchased at www.ringwoodmanor.org. Call (973) 962-2240 for more information. Hunt ghosts at 7 p.m. Oct. 26, 27 and 30 at The Hermitage Museum in Ringwood State Park with Craig McManus, who will explain ghost hunting from the perspective of a psychic medium. The 60-minute tour is limited to 18 people and is not recommended for children younger than 14 years of age. Cameras and recording equipment are not permitted during the tours. Tickets are $40. Call (201) 445-8311, Ext. 102 for more information. Gather at The Hermitage Museum at 10 p.m. Oct. 26, 27 and 30 when McManus will take visitors on a walking tour of the old house, describe any presence he senses and attempt to communicate with spirits. Tours last approximately 90 minutes and are not recommended for children younger than 16 years of age. Tickets are $50. Call (201) 445-8311, Ext. 102 for more information. Pick and paint pumpkins or join in a parade during a Halloween Festival and Flea Market from 11 a.m. to 2 p.m. Oct. 27 at the Leonardo State Marina, 102 Concord Ave., Middletown, in Monmouth County. Children and pets may walk in the parade. The pick-and-paint pumpkin patch is free. Hear stories about ghosts and the Jersey Devil and do a twilight hike from 4:30 to 6:30 p.m. Oct. 27 at Batsto Historic Village, 31 Batsto Road in Hammonton, Wharton State Forest, Burlington County. The event is free. Put on a Halloween costume or ride tractors and wagons during the 19th Century All Hallow’s Eve celebration from 11 a.m. to 4 p.m. Oct. 28 at Historic Allaire Village in Allaire State Park. A limited number of free pumpkins will be available. Prizes will be awarded to children under 12 years of age during a costume parade. Tickets are $5 for adults and $3 for children ages 5 to 12. 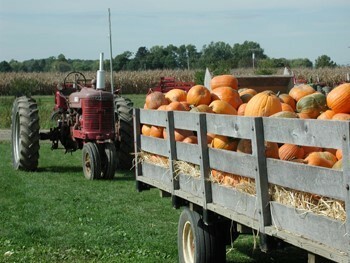 Tractor and wagon rides are $4 for adults and $2 for children ages 5 to 12. Call (732) 919-3500 for more information. Trick or treat from 5 to 9 p.m. Oct. 31 at the Hancock House Historic Site. Admission is free. Call (856) 935-4373 for more information. Like the New Jersey State Parks, Forests & Historic Sites Facebook page at www.facebook.com/NewJerseyStateParks/. 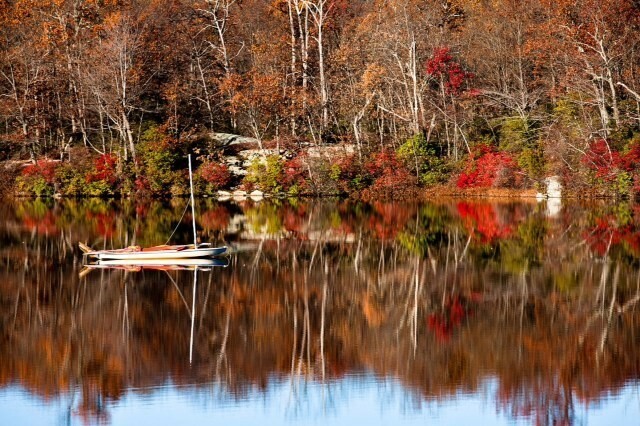 For the complete October calendar of events, visit www.nj.gov/dep/parksandforests/calendar/october.htm. Follow the New Jersey State Park Service on Instagram @newjerseystateparks. Follow the DEP on Twitter @NewJerseyDEP.